If you have ever used a rowing machine, you know it provides a full body workout. 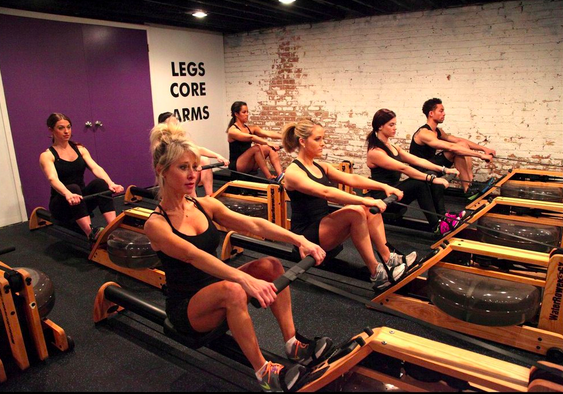 Go Row is an interval class that combines cardio and strength to work your body from head to toe. The class began on the rowers with a warm up to get us acquainted with the machines and several rows of varying speeds and distances. Rowing seems like a breeze until you are going full force. After the first cardio block we moved to the floor to do a strength/core section which was one of the more challenging ab workouts I had done in a while. Then it was back onto the rower for a variety of distance and sprint intervals followed by an ab section performed on the rowers. This class was a fun and refreshing workout. I left feeling exhausted and accomplished. 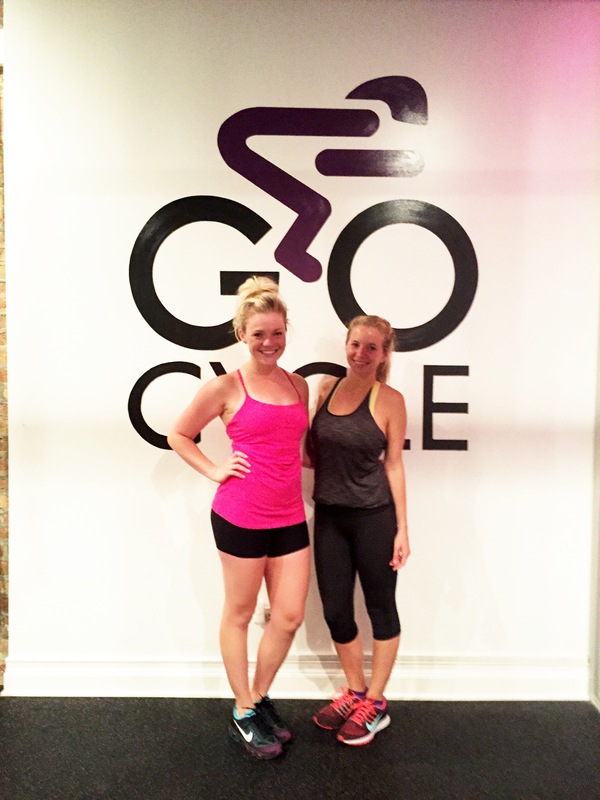 Instructor: Emmy is the owner of Go Cycle and is one of those spark plug instructors that just gets you motivated. She watches your form and helps you get comfortable in your strides. She is also hilarious which makes the workout fly by. 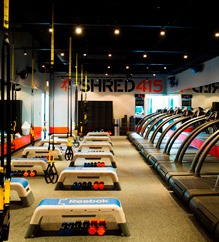 Class Review: If you have lived in Chicago for a bit, you have most likely heard of Shred 415. It is a workout that consists of four sets of (you guessed it!) 15 minutes, alternating between floor work and the treadmill. This was my first class and I went in pretty nervous. I am in decent shape, but running is my weak spot, so a total of 30 minutes on the treadmill was very daunting to me. The class I signed up for was Total Body, so I knew the floor sections would give me a great overall burn. The class format was not as rigid as I expected, in that it was not 15-15-15-15. I started on the floor. The floor station consists of a step and set of weights. 15 minutes of work-doing things like lunges, presses, and planks. Then we switched and the next set was 15 minutes on the treadmill. Jacob slowly built us up to a nice paced run which he referred to as our “base” pace. Then the intervals went up and down between sprinting, and jogging on an incline. Definitely no walking. After the first 30 minutes the instructor split up the sections into intervals of 5 minutes back and forth between the station as opposed to a straight 15 minutes which I was happy about because another full 15 minutes on the treadmill would have been a lot for me mentally. Each floor section got more rigorous and the treadmill section got more intense. Overall I was EXHAUSTED after the class. NOTE TO FIRST TIMERS: go with a friend. Having Erica whisper words of encouragement to me in the mirror definitely helped me to carry on. Instructor Review: Jacob was very energetic and made me feel comfortable going into class for the first time. I liked his selection in music and his class was definitely challenging. Extras: Shred415 currently has 5 different studio locations (South Loop, Bucktown, Old Town, Lincoln Park and Northshore). Classes are offered around the clock, but make sure to book in advance because they fill up quickly! There are locker rooms, towels and 1-2 showers in each studio. Select classes are offered on ClassPass. Would I recommend: Yes. You need to try it at least once. 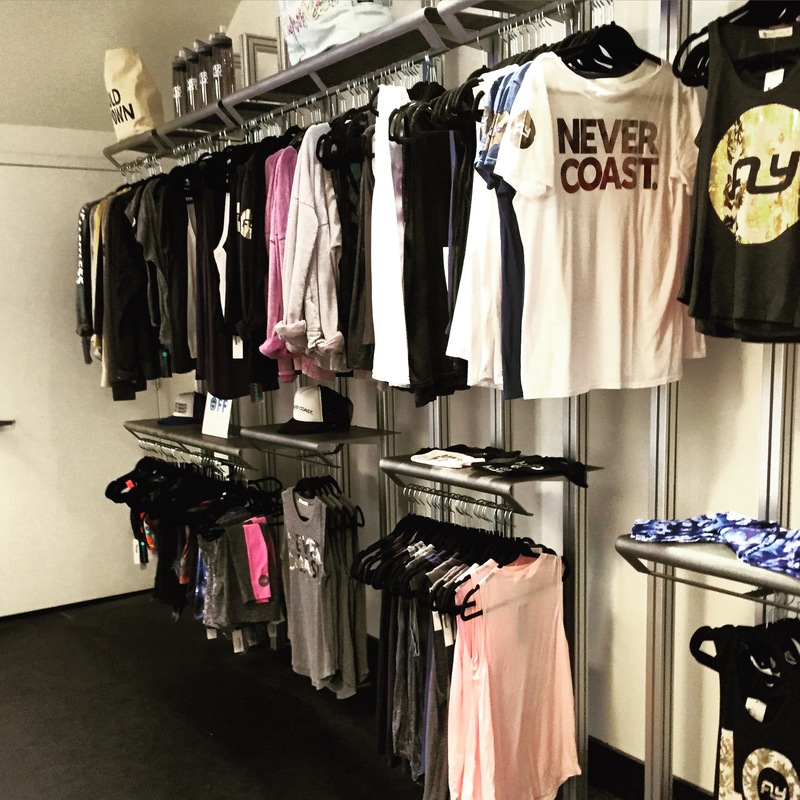 Studio/Workout Review: If you’re into boutique studios, this is the one for you. It’s new, clean and chic. Forget the spin classes you are used to. This one feels like you’re in a mini club. There is dark lighting, awesome music, and even a disco ball from time to time. The room is small and so the class feels much more intimate… and it makes you want to push yourself even more because you know the instructor is watching! I am still getting back into spin so this class was definitely challenging for me. My issue with spin classes is that I feel like I’m not working EVERYTHING, so Go Pump was pretty perfect. The hour long workout begins with a 40 minute spin complete with all of the sprints and hills your heart could desire. After the 40 minutes you then move into the attached studio for a continued workout consisting of 20 minutes of weights. Think bicep curls, presses, and even some abs. No muscle goes untouched in this class! All in all this class will make you sweat, torch calories, and then tone you up. And leave you feeling great. 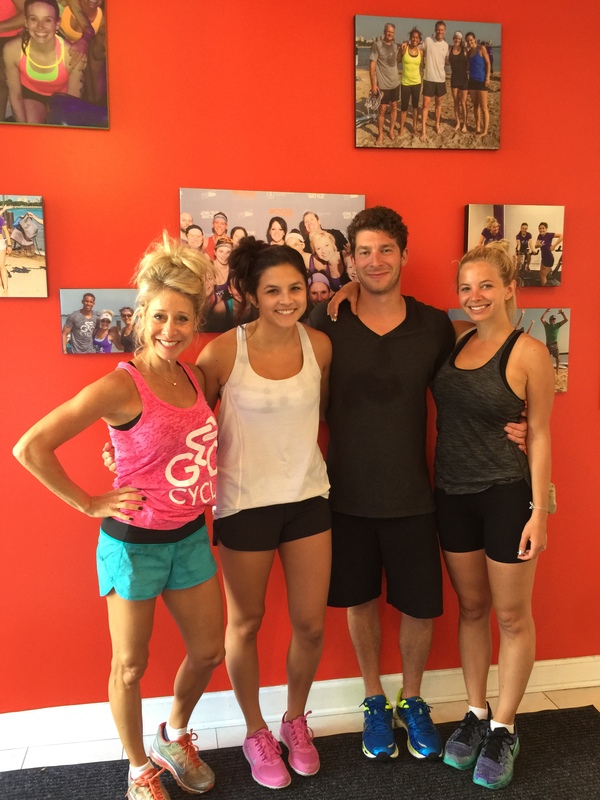 Instructor: Emmy is the owner of Go Cycle and is one of those spark plug instructors that just gets you motivated. She’s been teaching spin for over 20 years and it definitely shows in her class structure and in the following she’s built up. She’ll set you up before hand to make sure you’re settled into the bike and then coach you along the whole way, so if you’re new to this type of class, she’ll make you feel comfortable. She also sings along to the music which makes class even more fun. Extras: The studio provides complimentary clip in shoes for you, so you don’t have to bring anything with you. They offer a number of spin combo classes so be sure to bring sneakers if you are doing anything other than a strictly spin class. The studio has a locker room and showers. Looking for more than spin? They recently expanded and opened Go Row (full body rowing classes) and Go Spa all under the same roof! Studio/Workout Review: I have been to both Gold Coast and Old Town Flywheel studios and I have to say Old Town definitely takes the cake. It is bigger, has more bathrooms/showers , and has FlyBarre (which I have yet to try!). They have complimentary apples & bananas for a pre or post workout snack, toiletries (from hair bands and deodorant to ear plugs and face wipes), complimentary shoes (which ehem Soul Cycle charges for), and a water stand to fill-up your water bottle (they used to give complimentary water bottles too, but stopped doing so in late May). Overall, this is one of my favorite studios in Chicago! 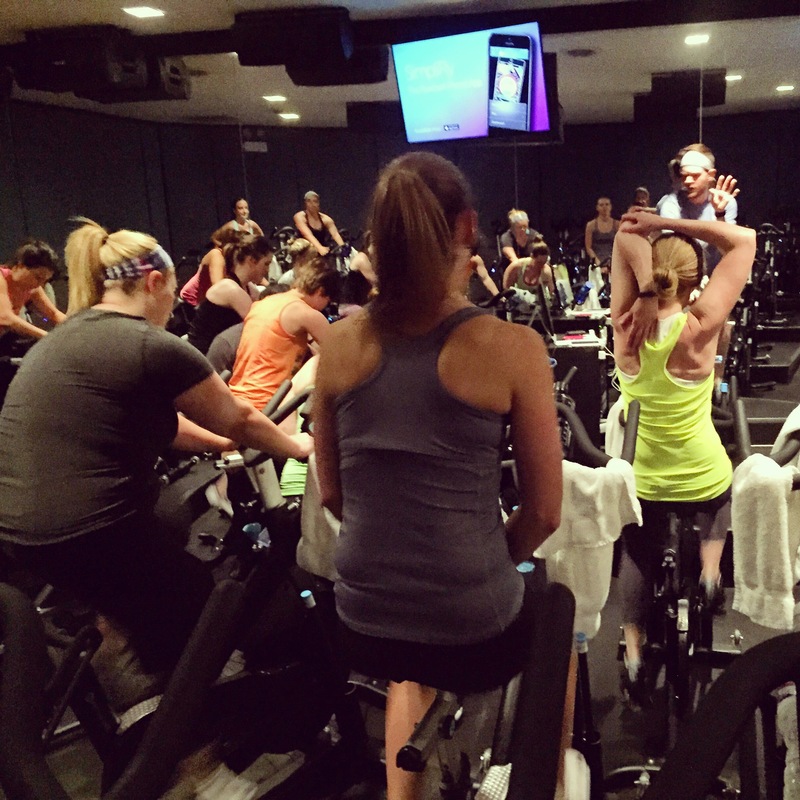 All flywheel classes are the same at a high-level. They all have 11 songs (for the 45 minute classes), have a 1 song arm section, and consist of races and hills. Anyone from a beginner to a beastmode fitness level can benefit from a Flywheel class. Note: If you are a Newbie, make sure you get to class at least 5 minutes early so someone can assist you with setting up your bike! Also, opt-in for the toque board if you want to get competitive! Instructor: Don’t let her name (Candy) throw you, she is anything but sweet when the lights go down in that stadium! I have had many different instructors at Flywheel, but none of them kill me the way she does. Her class has multiple 45/60 second pushes where she demands RPMs of over 105. She will even walk the floor and stare at you until you give her what she asked for! This lady means business! Candy is also super aware of what is going on with all the riders. One of my friends foot unclipped from the pedal and Candy saw and immediately ran to his assistance. Overall, her energy, fierceness, and attention to all of her riders makes her undeniably one of the best instructors I have ever had. I will be back for more! 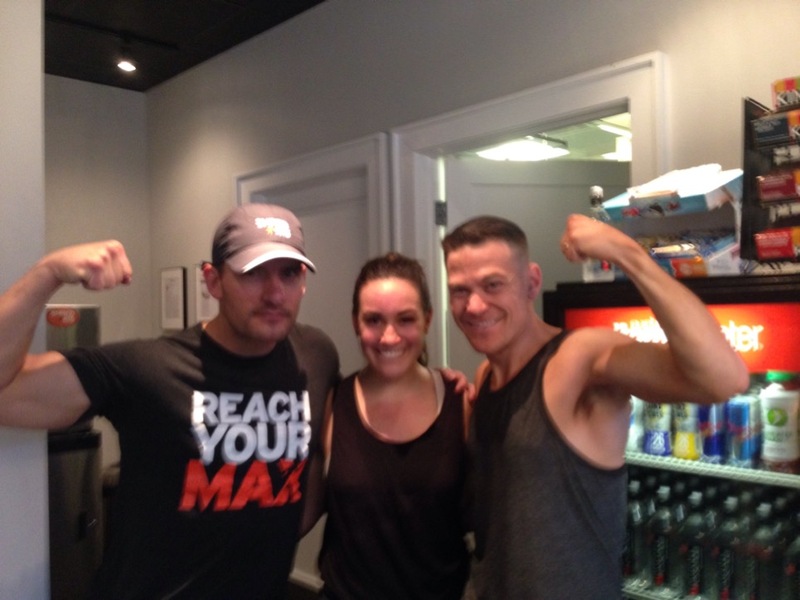 Extras: Candy also does personal training sessions outside of Flywheel if you are lucky enough to find a slot. If not, look up your local Flywheel location and book her class now, I SAID NOW!